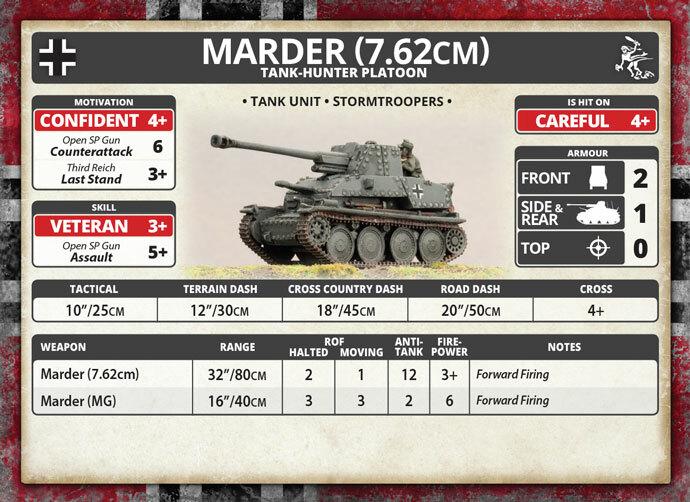 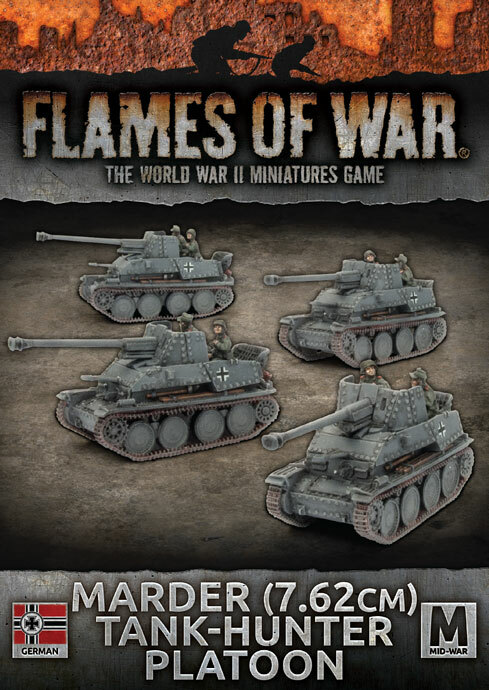 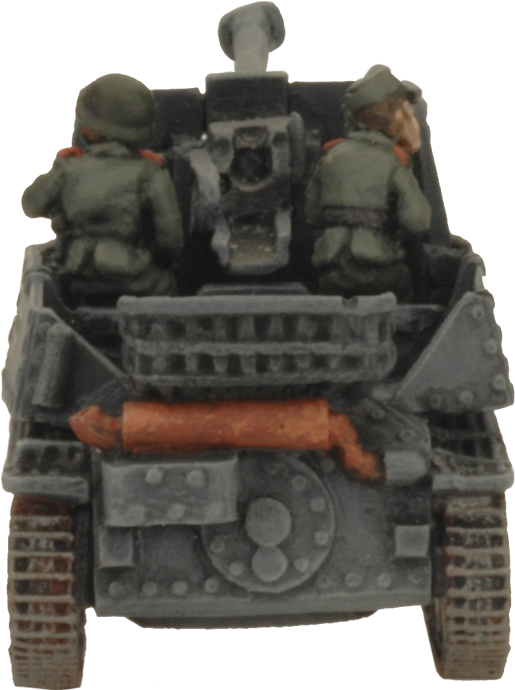 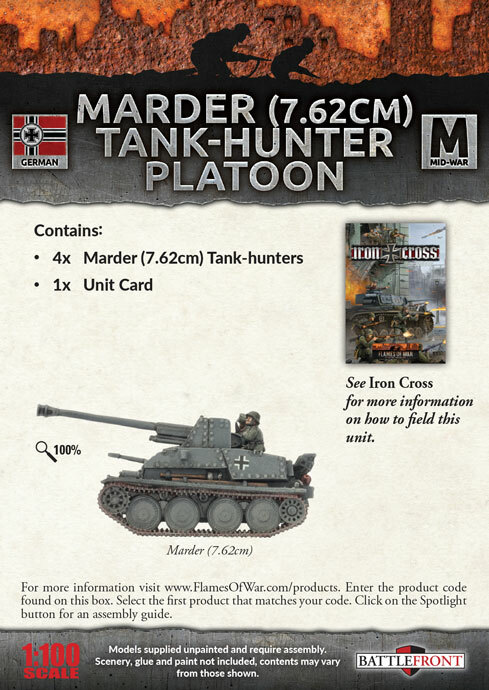 includes four resin and metal Marder (7.62cm) Tank-hunters and one Unit card. 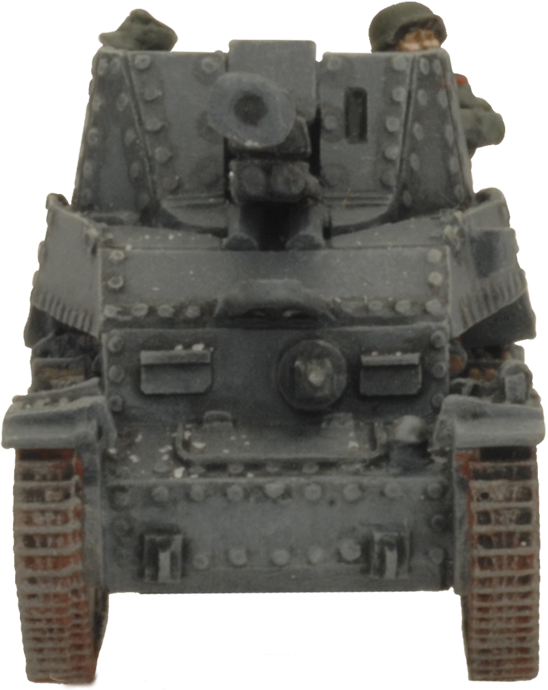 For the German army advancing deep into Russia, the lack of an effective and efficient means of penetrating the thick armour of the Soviet T-34 and KV-1 tanks proved to be a considerable obstacle. 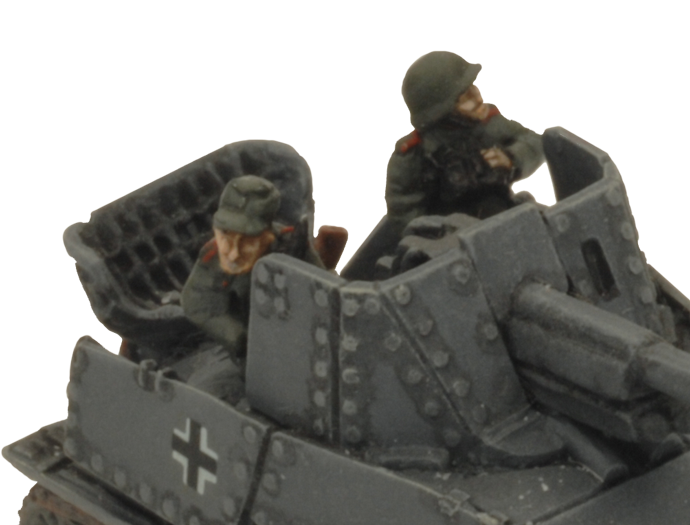 Fortunately for German forces, early victories on the Eastern front provided a welcome solution to their problem in the form of large numbers of captured Soviet field guns, abandoned by retreating defenders. 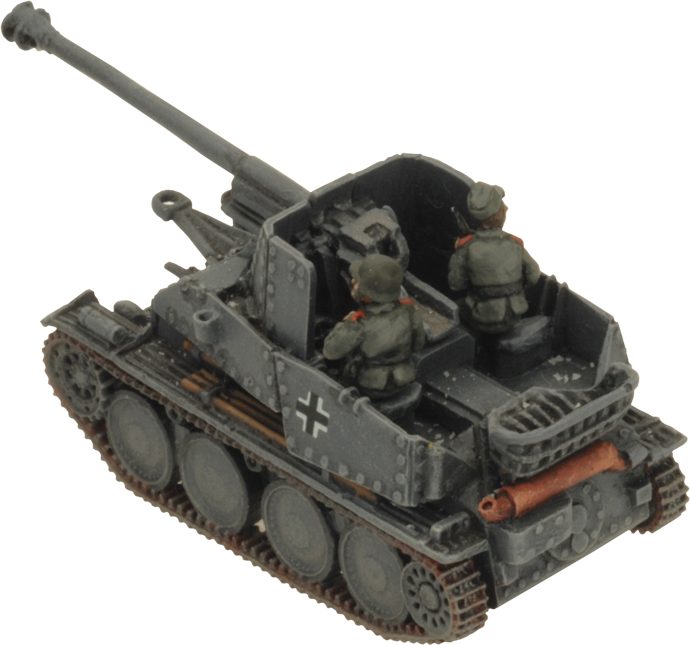 When those captured field guns were rechambered for PaK 40 rounds and mounted to the chassis of the obsolete Panzer 38(t), the Marder was born—a tank-hunter that combined both the mobility to maneuver speedily and enough firepower to deal with Soviet tanks. 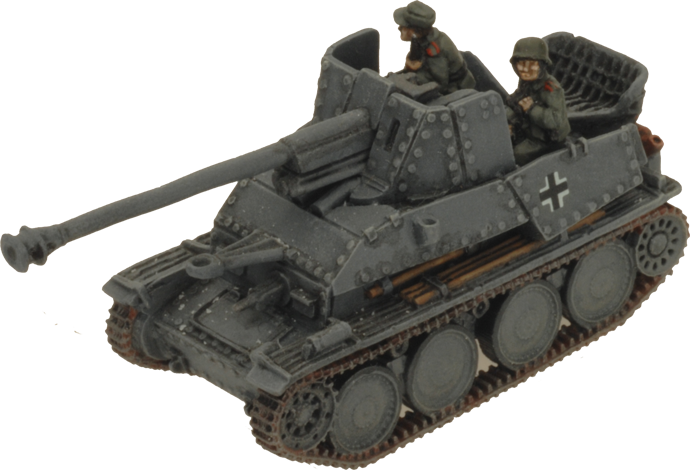 Full production of the Marder was reached in 1942, in time to square off against the tanks of the Red Army all along the Eastern front. 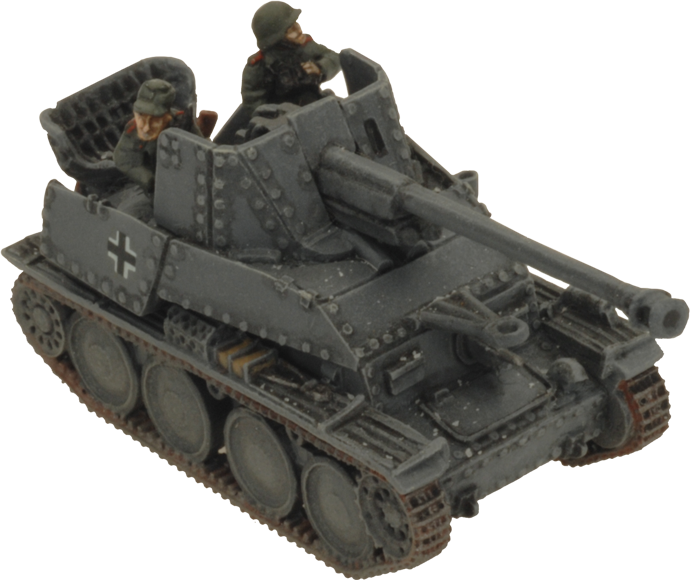 Though the Marder saw combat for the first time in North Africa, a majority of the new vehicles were deployed on the Eastern front as part of Panzerjäger detachments, where they slotted into the mobile anti-tank role they were so desperately required to fill. 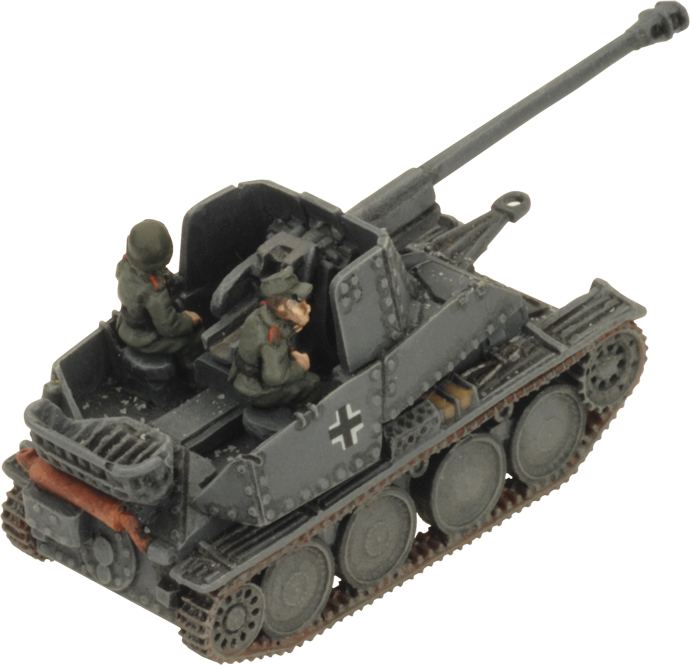 On the table, the Marder (7.62cm) performs as it did on the battlefield—providing a mobile base of anti-tank fire which can be easily and swiftly maneuvered to vantage points and defensible positions to halt advancing enemy armour in their tracks, or get itself out of harm’s way should it need to.